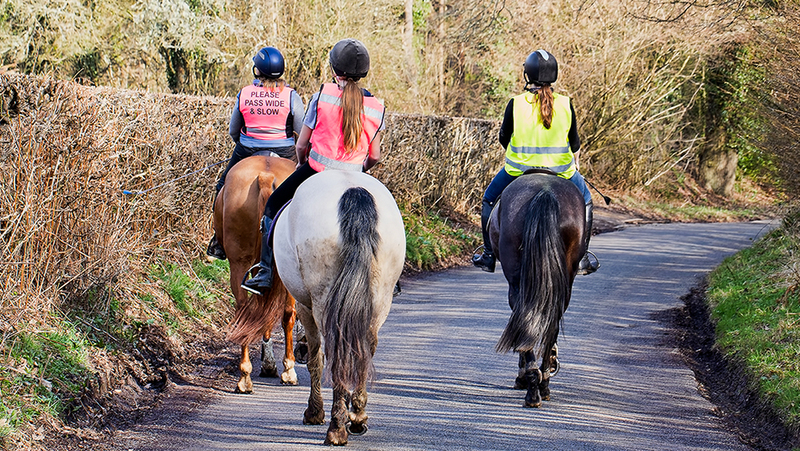 The British Horse Society (BHS) and UK Road Offender Education (UKROEd) are thrilled to reveal that equines and equestrians will now be identified as vulnerable road users in National Driver Offender Retraining Schemes (NDORS). The announcement follows a year-long collaborative effort between the two groups to ensure the safety needs of equestrians are highlighted within the retraining courses and drivers are educated on how to pass horses responsibly on the road. NDORS offer a range of courses which aim to cover most low level moving traffic offences. The scheme is operated across the country on behalf of the police service who outline the type of offender and the offence(s). The inclusion of equines and equestrians as vulnerable road users within the courses provide a platform to promote the BHS’s ‘Dead Slow’ road safety campaign messages. The charity launched the campaign in 2016 to educate drivers on how to safely approach horses and riders using the roads.